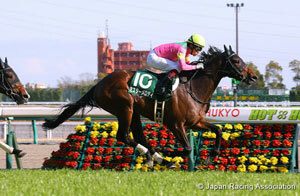 Top level horseracing action in Japan switches to Tokyo on Sunday, May 6, when the Fuchu track gears up for its five-week stint of Grade 1 races, beginning with the NHK Mile Cup. 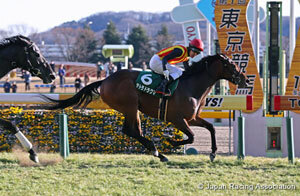 Originally a Japanese Derby trial run over 2,000 meters, things changed in 1996 when the race took on its current format and gave the 3-year-olds their own stage to see what they are capable of over a mile. 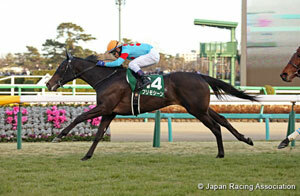 It takes a strong horse to dominate over the stiff 1,600 meters at Tokyo Racecourse. This year sees the 23rd running of the race, and it has attracted 22 nominations, including six fillies, who get to claim a 2kg allowance, while the colts will all carry a set weight of 57kg. The race excludes geldings. Such is the competition for a place in the lineup, the past 19 years have seen a full gate of 18 go to post. There’s a prize money boost this year, where the winner will be awarded 105 million yen. 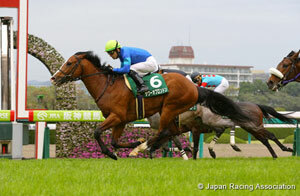 Step races leading up to this year’s Grade 1 NHK Mile Cup have included the Grade 3 Chunichi Sports Sho Falcon Stakes run at Chukyo over 1,400 meters in March, the Grade 3 Arlington Cup run at Hanshin over a mile in April, and the Grade 2 New Zealand Trophy run over a mile at Nakayama, also in April. The race has been kind to those at the head of the betting, with six first favorites finding the winner’s enclosure in the past 10 years. The record time for the race is still held by Danon Chantilly who won in 2010 in a time of 1 minute, 31.4 seconds. The race has thrown up big name winners such as King Kamehameha (2004) and Deep Sky (2008), and in the past two years the race has been claimed by fillies, namely Major Emblem (2016) and Aerolithe (2017). 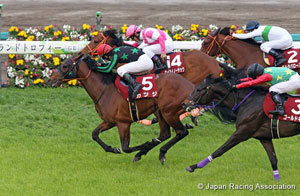 The Grade 1 NHK Mile cup will be Race 11 on the Sunday card at Tokyo, with a post time of 15:40 local time. Will the fillies come out on top again against the colts?